Swedish Social Worker Anna-Karin Ehn is reported missing by her husband. The next day the husband finds her car outside the town, which makes him the main suspect. And when the police find blood in the car the suspicions are strengthened. But she had also received threats at work so they need to keep their minds open. It also turns out that she had surprising secrets. The journalist Magdalena Hansson plays a central role just like in previous novels. She suspects that one of her son’s friends is in trouble at home and she has contacted the Social Services. When Anna-Karin disappears she wonders if there is a connection. The police Petra Wilander and Christer Berglund struggle with personal problems. Petra’s health is faltering and Christer’s fiancée is overly jealous. As indicated in the title the novel is about secrets. What happens behind a family’s close doors is not always what it seems. Many women and children suffer and feel anything but safe in their own homes and Schulman depicts this perfectly. The real world is scary; can society even do anything to help? 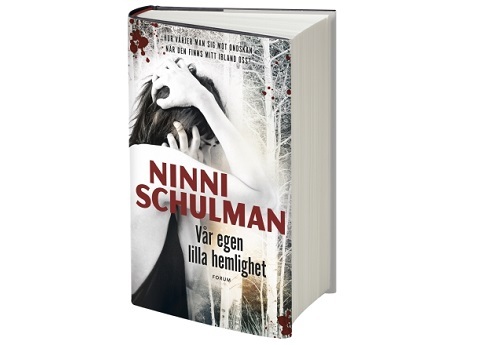 The novel is the fourth in the series set in Hagfors, Sweden. It is as suspenseful as its predecessors and the language is very reader-friendly. The series has become one of my favorites and I look forward to the next one.